This fun embroidered and applique wallhanging is a woodland wonderland. 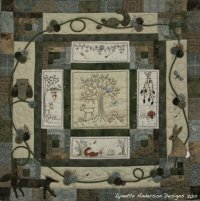 A 6 month block of the month project featuring Lynette Anderson's fabrics, buttons and designs. It finishes 28" square. We're getting excited for Betsy Chutchian to return to the shop! She'll be teaching two classes next weekend (Friday, Oct. 4, and Saturday, Oct. 5,). This is your chance to learn from her in the Sewjourn Retreat here at the shop. 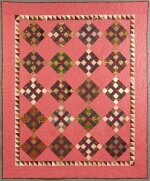 The two projects are different quilts from her latest book, Lizzie's Legacy. Friday we'll work on the "Lounge Quilt" and Saturday we'll stitch "Twist and Shout." If you're a HIQ Diva, this is "the original Diva." Enroll today. Let Kathy teach you the "behind the scenes" tips and wonders of what makes these "Baltimore Album Quilts" so valuable and desirable. She'll share a lot of history regarding these blocks each month. This Baltimore journey begins Saturday, Sept. 28! Enroll here. Don't have time to hand applique, but love the look? Penny Treaster will teach you the basics of machine applique and get you on your way to make your own lovely appliqued quilt. 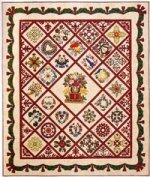 You will learn and experiment with four different stitches as you construct a great class project based on the book, Alex Anderson's Hand & Machine Applique: 6 Techniques, 7 Quilts. Join Penny this Monday from 9:30 a.m. - 2 p.m. to get yourself started on a cute machine applique project. Enroll today. Can you believe it is finally cooling down outside! This month's theme is halloween so, you know that entails costumes and halloween fabric. We're playing LCR again. Bring 3 halloween quilt shop quality fat quarters with you. You'll need your basic sewing kit for the make-n-take project. It's very cute! Composition notebooks and individual pencil erasers are the request for the charity discount. 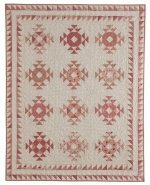 Presencia Perle Cotton Size 8 & 12 and Presencia Mouline Finca Floss are 50% off! Floss was $1.29-$4.99, now $0.65-$2.50! Size 8 & 12 Perle Cotton was $2.99-$3.99, now $1.50-$2.00!